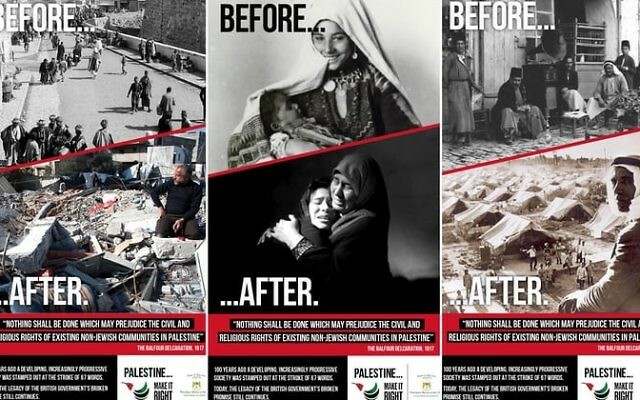 The Palestinian ambassador to the UK has accused Transport for London of “censorship” after the travel network refused permission for posters that seek to show how the Balfour Declaration had negative effects. Professor Manuel Hassassian, head of the Palestinian Mission in the UK, reacted angrily to TfL’s decision this week, saying there was “free speech in Britain on every issue under the sun except Palestine”. TfL bosses said they refused permission for the posters, which had been intended for buses and stations, on the grounds that they related to “matters of public controversy or sensitivity”. 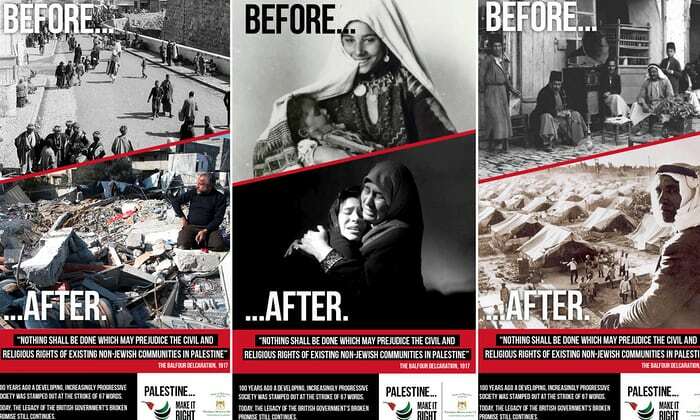 The posters include contrasting images of Palestinian life before and after 1948, the year Israel declared independence, and quotes Lord Balfour’s famous passage that “nothing shall be done which may prejudice the civil and religious rights of existing non-Jewish communities in Palestine”. However, the advertising company that came up with the ‘Make it Right’ campaign said it was not asked to make amendments, as usually happens when posters are refused, and that the delay in TfL communicating the refusal was unusually long.